Adult acne can leave skin ravished, and for the past 13 years I have battled with the same affliction of raging hormones and hormonal imbalance leaving my skin worse for wear. Whether its birth control, policistic ovaries or one of the many other imbalances that can cause outbreaks like diet, our skin is usually one of the first indications the something is, well…not quite right. So, while some New Year’s resolutions are thrown away by the mid January (hello new gym gear gathering dust), the quest for better, healthier and glory skin is all that more attainable and one I have decided to embark on for 2019. 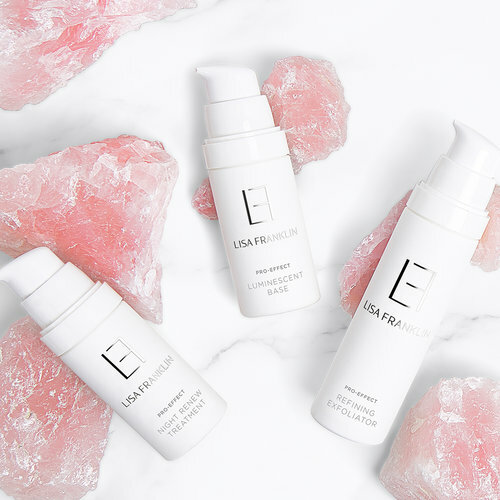 Thankfully skin care expert, Lisa Franklin offers a bespoke treatment in the heart of London that not only manages to tackle your woes such as large pores and surface marks, but her affable character makes the treatment more akin to a journey for betterment, inside out. Indeed Lisa’s practice is deeply entwined with crystal therapy with rose quartz crystals dotted around her practice and is one of the fundamental building blocs of her Pro Effect Luminescent Base. "I had a re-occurring dream as a child about rose quartz, I was always fascinated by this gemstone. I collected these beautiful pink crystals, placing them delicately into vases, watching on mesmerised as their colour seemed to change from dark to light and back again. I learnt that these precious stones were very healing, reawakening the heart chakra, opening the heart to love, trust and faith in the benevolence of the universe. I guess it satisfied my bohemian side. They are such a great thing to place around your home or workplace to increase harmony in your environment, and a wonderful ingredient in skincare too, which I would discover further down the line." Lisa operates from her beautiful Clinic Prive in Knightsbridge. I tend to go into treatments with half a cynical mind, the other half open to new ideas and new ways to improve my regime to achieve a realistic glow without surgical intervention. And what do you know? Within five minutes of sitting down with Lisa to discuss my main skin care concerns, I opened up about my health and lifestyle like never before, and came across an expert who was not only warm and friendly, but also welcoming. And this is where Lisa’s character stands out and makes the treatment all that more better, even before you’ve walked into the treatment room. 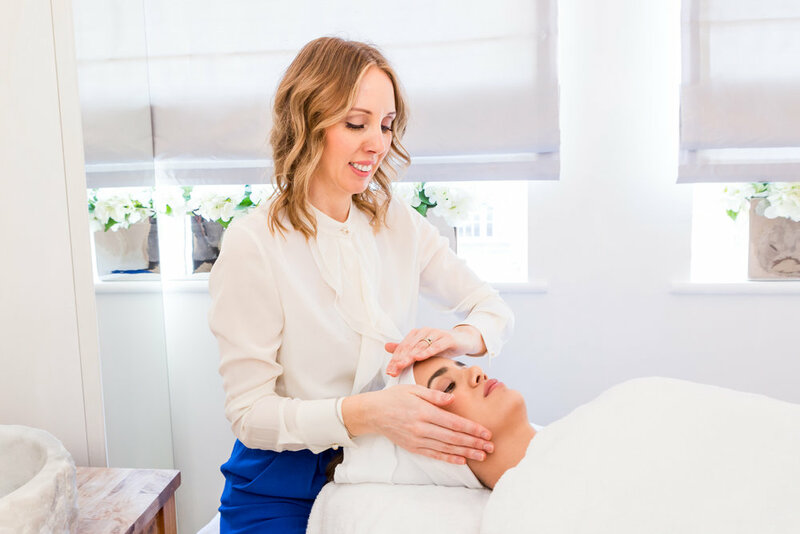 While some aestheticians and facialists are concerned with getting the job done and on to the next customer, Lisa gives your an opportunity to speak, to talk and to discuss. Where time is often hard to come by, Lisa provides just that; a holistic environment that makes you believe that you can achieve this goal, whatever it is. So onto the treatment; what was it like, what did it achieve and where do you go from here? Editor’s Beauty decided to test out the Signature Facial. The treatment itself started of with a thorough analysis of your main skin concerns. Mine was the never-ending goal of reducing my acne scars. Her Bespoke Signature Treatment uses traditional hands on techniques, such as deep cleansing and exfoliation, steaming, manual extraction and hydration through thoroughly cleansing skin to remove impurities and pollution to restore the health and beauty of your skin using Lisa’s own Pro Effect range, which is vegan, cruelty free, sustainable, recyclable and contains no harsh chemicals. Lisa encourages taking a before and after picture and prescription of the Pro Effect range to take home and a bespoke regimen and clinical focus to see a true and drastic difference. While the skin looks reddish and fresh as per the norm, the continuous use of her skin care products post treatment has reduced my sensitivity and dear i say it, reduced scar appearance and inflammation. What a great way to start the new year! Struggling to entertain the kids this holiday? With Easter just around the corner why not take advantage of those extra days off work with a last minute family get away. Physicians and psychologists agree, spending inordinate amounts of time on computers, smartphones or social media negatively impact a child’s developing mind and body. Finding the motivation to work out can be a challenge at the best of times, add in a pregnancy and couple of kids, and it can feel like you’re asking us to solve Brexit. Don’t let trawling through the internet researching travel food leave you hungry - we’ve got you covered with Europe’s top vegan restaurants. Schoolchildren across the world are striking in protest against climate change. Whilst they’re leading the way in environmental activism, there are steps we can all take to reduce our carbon footprint. Designed to bring the therapeutic Earth elements together with Ushvani’s infamous Balinese Massage, the Jade Stone Ritual is a deeply relaxing and surreal Spa ritual. Once owned by an Elizabethan bailiff and voted best newcomer by Mr. & Mrs. Smith, the Kings Head Hotel, Cirencester is a stylish country escape steeped in history.